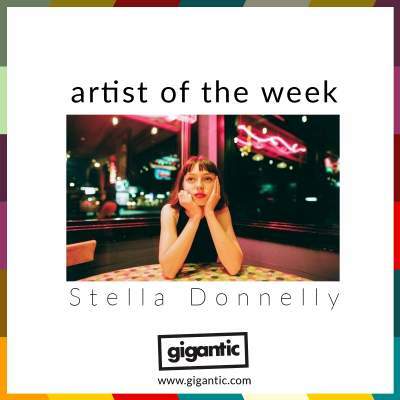 Stella Donnelly is the bright new star from Perth finding her way onto the international stage. Combining brutal honest lyrics drawing on her own life and drawing attention to the everyday experiences of women with her jazz-folk style, Donnelly is able to make important statements whilst the listener feels they are listening to the anecdotes of an old friend. Having first impressed with her critically acclaimed EP ‘Thrush Metal’ which saw her become Triple J’s Unearthed Feature Artist in her Australian homeland, she has returned this year with her incredible debut album ‘Beware Of The Dogs’ whose release has marked a substantial rise in her profile and made her one of the most in-demand acts of 2019. Born in Perth, Stella Donnelly spent three years of her youth in Wales where her mother is from. Though a comparatively short time, Donnelly found it a formative period of her life and was inspired whilst living there to pick up the guitar and learn to sing. Inspired by the candid folk style of Billy Bragg, his mix of humour, kitchen sink storytelling and political advocation would directly feed into her own ambitions for music. Upon returning to Australia, Donnelly began busking on the streets and the bustling Perth market Wanneroo where she was approached by a pub landlord asking if she would perform covers at their venue. Although it was an opportunity for the aspiring songwriter to get some real experience on stage, the overtly macho atmosphere and the culture it fostered would later inspire some of her more caustic material. ‘Boys Will Be Boys’ drew on her time playing in the pub plus other negative experiences, both personal and inspired by other women’s stories of abuse by men. It chimed perfectly with the growing #MeToo movement as women are rallying around each other to support those who have been attacked, shamed and silenced to find the strength to pursue justice and see their abusers punished. This important movement is helping bring about cultural and legal change around the world to combat the means men have used to perpetrate their crimes and get away with it. The single featured on Donnelly’s six track EP ‘Thrush Metal’ which was released on Healthy Tapes last year and had strong political themes throughout. Fusing shrewd lyrics, emotional honesty and a wry humour, her record was earmarked by critics as an essential listen. Released on Secretly Canadian just last month, she has now returned with her compelling debut album ‘Beware Of The Dogs’. Continuing the strong political messages found on her EP, the record also addressed the negative effects of hyper masculinity whilst also tackling issues of racism and national identity. Her bold and unapologetic lyrical stand against social ills is almost masked by her sweet voice and gentle fingerpicking. But make no mistake, Donnelly certainly does not flinch from giving her account of the darker aspects of the world around her. Make sure you see Stella Donnelly when she tours this month and May, playing dates to promote ‘Beware Of The Dogs’ all around the UK.